The main form of financial support for children attending Woodhouse Grove School is in the form of means-tested bursary (not offered at Brontё House). Bursaries can be applied for once the full admissions process has been undertaken and a place has been offered. To apply for a bursary a Bursary Application form must be completed (available from the admissions officer). The level of any award will reflect the parental net resources and where the demand for awards exceeds funds available then a final decision can also be influenced by the general contribution a pupil can and will make to the school. Bursaries have to be applied for on annual basis so that account can be taken to any material changes in circumstances. 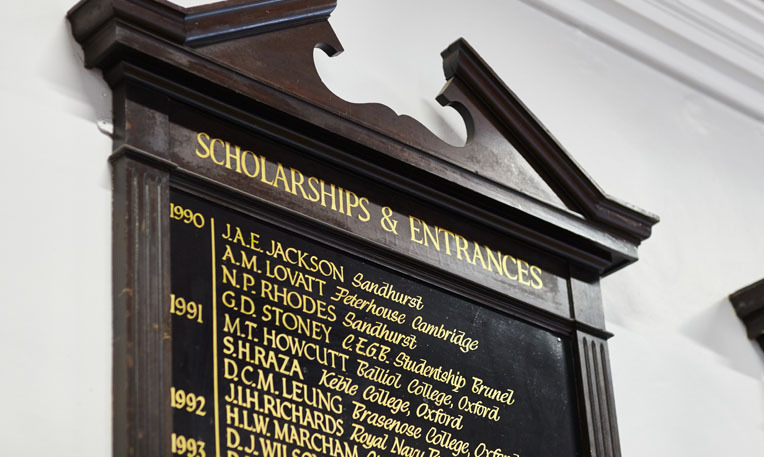 There are a limited number of Headmaster’s scholarships are awarded annually to exceptional candidates entering the school. Academic Scholarships are awarded on the results of the entrance examination, a pupil interview and a report from the applicant’s current school. Headmaster’s Awards for Music, Drama, Sports, Art and Design Technology are available upon application to the Headmaster. These are awarded based on audition/portfolio or evidence of achievement.